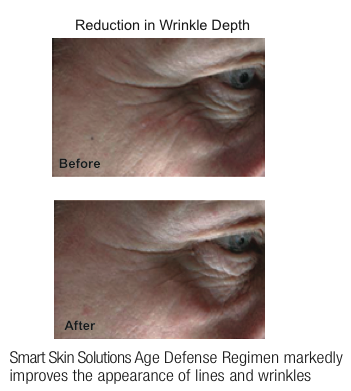 Age Defense Line by Smart Skin Solutions. Revolutionary Medical Grade Anti Aging Regimen clinically proven to improve and prevent the signs of aging, by visibly diminishing the appearance of fine lines and reducing the severity of deep wrinkles. 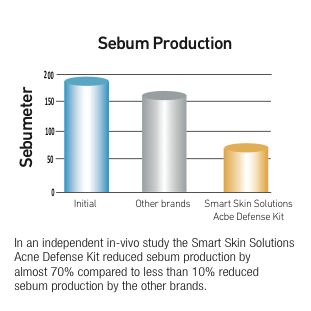 Acne Defense Line by Smart Skin Solutions. Our Physician Strength Regimen is clinically proven to eliminate acne by treating existing blemishes and preventing future breakouts. When used as a daily regimen, this system works synergistically beneath the skin’s surface to clear imperfections and produce a clearer looking complexion in as few as two weeks.